When GE Aviation bought the Czech turboprop builder Walter Aircraft Engines in 2008, GE hadn’t developed a propeller engine in decades. Over the last seven years, engineers in both Prague and in the U.S. worked diligently to develop a new advanced turboprop engine (ATP) that could change the propeller industry. The Czech Republic has been selected as the headquarter for GE ‘s new Turboprop Center of Excellence (CoE). An investment exceeding $400 million across Europe, the Center of Excellence is highlighting GE’s continuous turboprop development and production. In Czech, a modern facility creating over 500 new jobs will open in 2020 to manufacture the new advanced turboprop engine, powering Textron Aviation’s NEW single-engine turboprop aircraft. Prague’s design & production facility builds on 90 years of engineering. In 1911 a Czech company called Walter Aircraft Engines was established and between 1923 and 2008 it produced over 37,000 aircraft engines. In 2008 GE Aviation stepped into the Czech market by acquiring certain assets of Walter. The well-known Walter M601 turboprop engine became the basis for the new GE Aviation H-Series engines which are 3% more powerful and 8% more efficient in terms of specific fuel consumption. Czech company called Walter facility, where the GE Turboprops design history begins. After four years of research and development, GE Aviation introduced the H-Series turboprop engine family. Three engines in the 750 to 850 shaft horsepower (shp) range come with a 3D aerodynamic blade design and are made of durable yet light materials reducing engine maintenance costs by more than 15%. GE incorporated new technologies and materials into Walter M601 engine for high efficiency and less fuel burn. To date GE Turboprop engines can run for up to 4,000 hours without overhaul. Perhaps that answers why these engines power over 30 different types of aircraft (such as Thrush 510G, L410 NG or CAIGA Primus) serving from South America to Northern Asia. In fact, 17 million flight hours so far speak for themselves. Gateway to Mount Everest: GE H80-powered L410 aircraft transporting people from Katmandu to Lukla’s Tenzing Hillary Airport in Himalayas rated as the most dangerous airport in the world. Now, with GE Turboprop Centre of Excellence in Czech, GE Aviation is entering new turboprop market of Business and General Aviation aircraft in the 850-1,600 SHP range. The first engine to be produced will be the Advanced turboprop for Textron Aviation, unveiled in November, 2015. 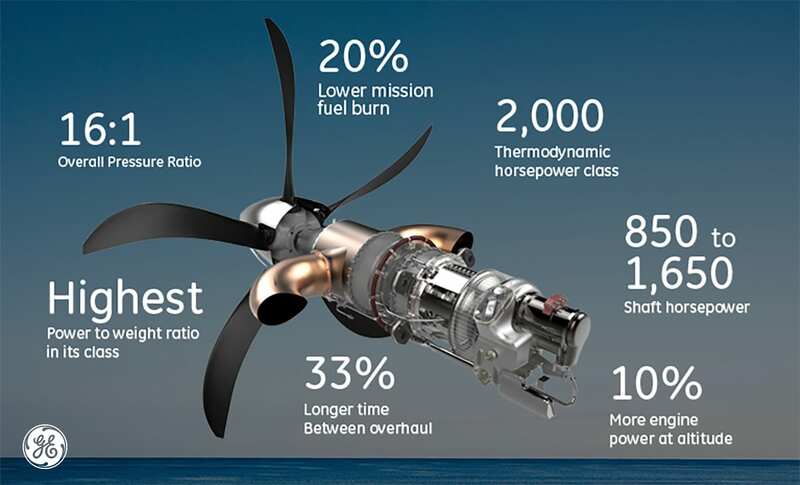 The all-new 1,300 SHP-rated turboprop engine features an industry-best 16:1 overall pressure ratio (OPR), enabling the engine to achieve up to 20% lower fuel burn and 10% higher cruise power compared to competitor offerings in the same size class with 4000-6000 hour MTBO and class-leading performance retention. Advanced Turboprop for Textron aircraft is all-new 1,300 SHP-rated turboprop engine featuring an industry-best 16:1 overall pressure ratio (OPR). 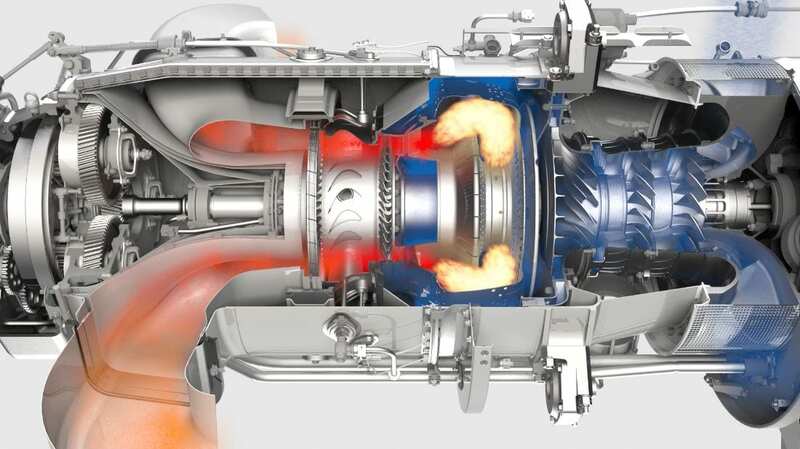 Besides designing and building the first Advanced turboprop, the new Turboprop Center of Excellence will pick up the research on a 5,000 SHP turboprop that will leverage GE’s new GE38 turboshaft military helicopter engine, as well as technologies across GE’s broad military and commercial jet engine portfolio. Read more at GE Reports.